Pioneers in the industry, we offer pigeon protection net, turf protection net, protection net and plaster reinforcement net from India. We are engaged in offering our clients with Pigeon Protection Net, which are used to protect buildings or industrial sheds from pigeons. These can be installed at balconies, passage window. Obtainable at industry leading prices. 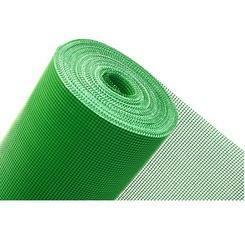 Turf Protection Net is an extruded plastic mesh for the protection and reinforcement of grass and turf. The turf protection net stabilizes the grass and enables the grass to intertwine with the plastic mesh filaments creating a strong stable reinforced grassed surface. The grass protection mesh is ideal for Heavy pedestrian and light vehicle use, overflow car parks, and airport taxi-ways. When installing turf protection net, it is essential that the plastic reinforcing mesh should be laid down to give enough time for the grass roots to intertwine with the plastic mesh filaments (E.g. early spring). This usually takes approximately one growing season. The protected area will soon resume its natural appearance with the turf reinforcement mesh disappearing below the surface of the grass providing a stable surface that will withstand the weight of vehicles and heavy pedestrian use. 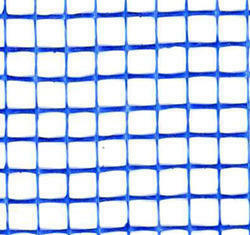 The grass reinforcement mesh is available in black green in a standard grade, and black in a heavy duty grade. 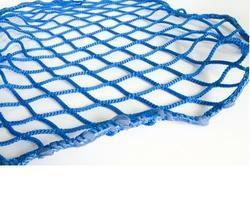 Protection Net offered by us are made using strong, long-lasting materials with the nets bearing fine Knit and laminated construction which makes them long lasting in usage. Finding use in areas like construction industry and others, these nets provide for superior safety support as well as support free, quick and effective movement of workers. Providing for superior protection to workers, these safety nets help in preventing serious fatalities while working at a height. Further, these safety nets also comply with stringent regulations and come extensively tested to ensure their long lasting usage.